When it comes to holiday gifts, coffee is practically foolproof. For in-laws, acquaintances, and the difficult-to-please, this seed of a tropical fruit is a lifesaver. What coffee drinker doesn't like being surprised with the deliciousness of their favorite single origin, blend, or espresso? We think of that deliciousness as a destination. Some can navigate on their own just fine, but others would benefit from a map, a compass, and an introduction to celestial navigation. Enter our Coffee Essentials Kit, which comes packed with everything you need to brew delicious pour-over coffee, plus three Perfectly Ground packets of our limited-edition Holiday Blend, Neighbor—a sweet and spiced confection after our own hearts. Whether you're a coffee beginner looking to try something new, or an initiate seeking mastery of the pour-over technique, the Coffee Essentials Kit is your new morning routine all in one. Our custom Dripper was designed to put you in control of your pour-over—and you'll only get better with practice. It was created in tandem with our proprietary filters, which impart no papery taste to your final cup. If our online brew guides are thorough, our exclusive Pour-Over Brew Guide is comprehensive. 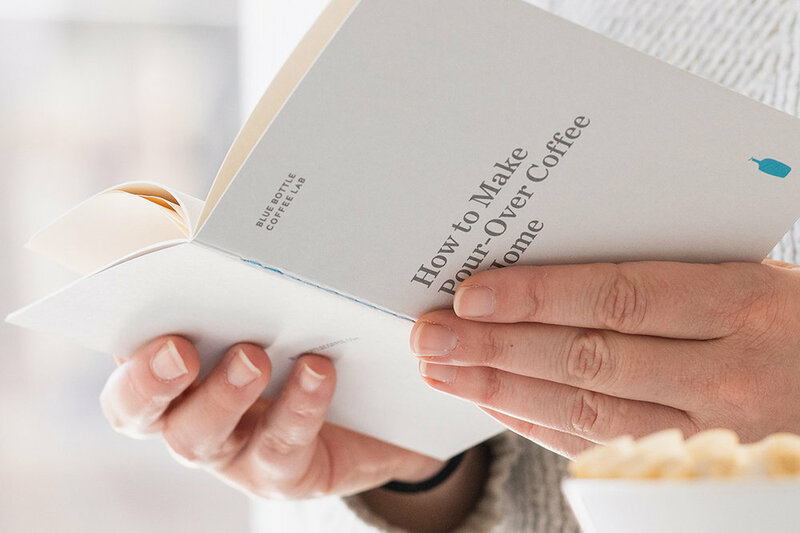 With insights from our founder and coffee team as well as insider instruction on every step of the pour-over process, this guide is brew class meets love letter to one of our favorite ways to make coffee. Want to help your giftee take their coffee routine up a notch? The Coffee Essentials Kit also comes with as a set with the Fellow Stagg™ Mini Pour-Over Kettle, an exquisite piece of coffee equipment in limited-edition fog grey, exclusively for Blue Bottle. Take control over your pour-over ritual with this gorgeous Kettle and create a cup that matches this instrument in elegance. It’s just the thing for anyone seeking a more beautiful morning ritual.